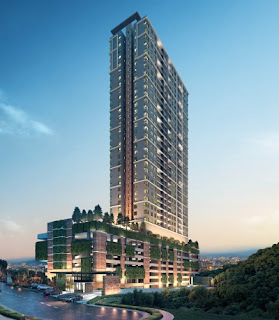 Sunway Mont Residences is a brand new freehold condominium by Sunway Property located in Mont Kiara, Kuala Lumpur. Sunway Mont Residences provides a city living to accommodate 2 generation families and above offering not only standard units, but even spacious dual-key homes. Sunway Mont Residences composed of units with at least 2+1 to 4+ 1 bedrooms, as well as dual key concept with 4 bedrooms. The built-up area ranging from 1,122 sq.ft. to 1,906 sq.ft. The selling price of Sunway Mont Residences starts at RM880,000 onwards. Built-up Area : 1,122 sq.ft. - 1,906 sq.ft.